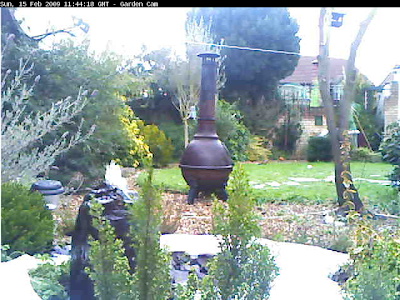 I purchased an IcamView web server, and megapixel webcam, which I have waterproofed, and placed in the garden. The IcamView web server has a low power processor, and is unable to manipulate the images at all. When you use the ActiveX or Java video viewer, the viewer manipulates the image for you (on the client PC). If you access still frames, you have no such tool, and the frames come straight from the camera, warts and all. The most obvious issue is when images are flipped by the camera, and it expects the software to flip the images back. The Code all belongs in the <body> section of the web page. The <webcam> tag is interpreted by the script, and loads / edits the image. More information, including the source code, can be found here. Hi, i want to use .js script but file is missing for download, please upload again or send me the URL. Thanks! Birdie.